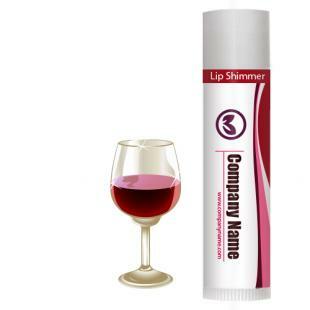 Custom red wine lip shimmer w/white tube cap is for all those who are very crazy about their glass of red wine. This winey shine will overpower your taste senses, soothe your lip tissues, silkify your lip skin and moisturize your lips. It makes a great choice during those cracking winters, when everyone desires to spend time beside – a warm fireplace enjoying their glass of wine! Health Quotient – PABA free. Harsh synthetic manipulators avoided. Involves large concentration of natural moisturizing formulates along with synthetic and semi-synthetic components. Is formulated with coconut oil, aloe oil, beeswax, vitamin E, coconut oil and light mineral oil. Red wine flavor. Directions – Rub red wine lip balm regularly over parched lips. Avoid rubbing it over eyes or face as a texture enhancer. Gifting Favors – Custom red wine lip shimmer w/white cap makes a great gifting token during joyous youth events. It can be gifted during Christmas parties and winter parties, too.